Specialties: Geotechnical peer review for local agencies, engineering geology, hydrogeology, critical area characterization, rock slope stability analysis and mapping, slope stability and erosion in the forested environment, LID stormwater evaluations. Dave’s interest in engineering geology was originally piqued when he discovered that it allowed him to combine his interest in physical sciences with the practical applications of construction. These days, he provides engineering geology and hydrogeologic evaluations as standalone projects and as components of broader land development and civil infrastructure improvement projects. He is well versed in local critical and sensitive area ordinances and their permitting requirements and for the past 17 years has provided geotechnical peer review services to local agencies—including detailed review of reports, plans, and specifications for technical accuracy and conformance with applicable land use codes and design standards. He provides detailed site characterizations for LID stormwater evaluations, including groundwater mounding analysis. 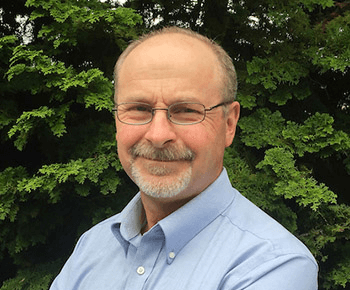 He is also recognized by the Washington State Department of Natural Resources as a Qualified Expert on assessing slope stability and erosion in the forested environment. In addition, Dave has extensive experience with forensic evaluations for building and property damage assessments. A 15-year Boy Scout troop adult leader, Dave has also volunteered with Habitat for Humanity. When not working, he spends as much time as possible riding, repairing, or rebuilding his mountain and road bikes, refurbishing old stereo equipment, hiking, and kayaking.